Plain, Dual, Sandwich Line, Sandwich Soft, Fan, Lip, Wave, Trap, Virgola, Bicolor, Vela, Onda, Raster, Bandy, Funny 1-2: melamine structure, available in all colours, slat base. 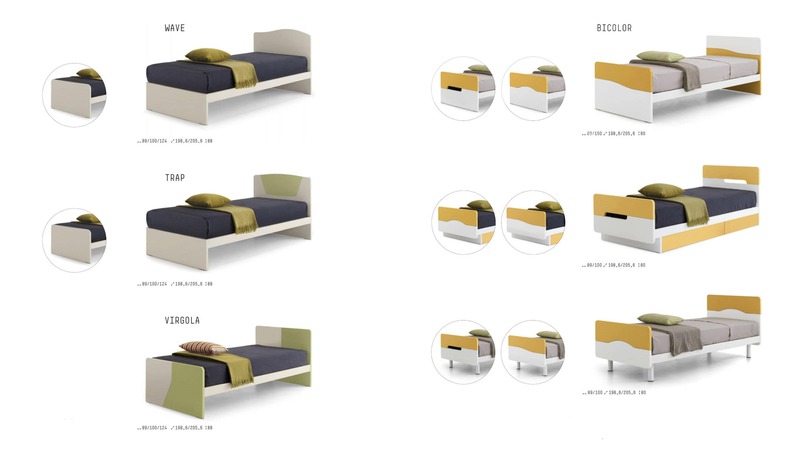 Ambo: melamine beds with patterned headboard, shaped structure, slat base. 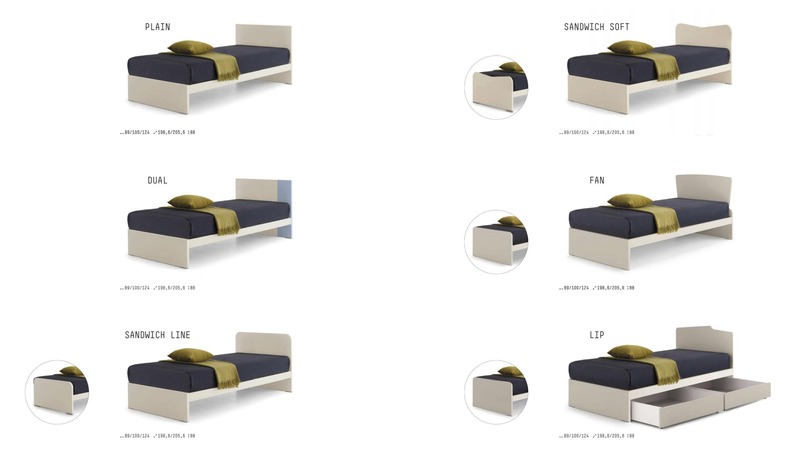 Pasol: melamine structure with 4 types of headboard, suitable for pull-out units, slat base. Bed45, King Bed, Sandwich: melamine carcase with feet or storage box, available in all colours. 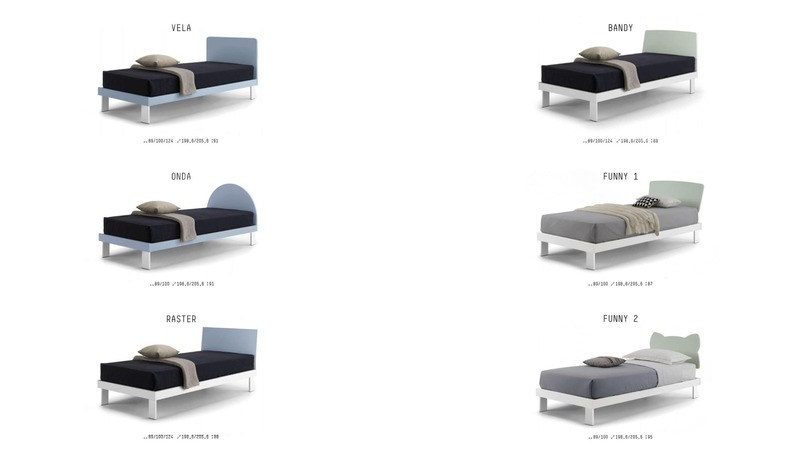 Minimal: melamine structure, 5 cm thick, melamine, padded or deep buttoned headboard, slat base. 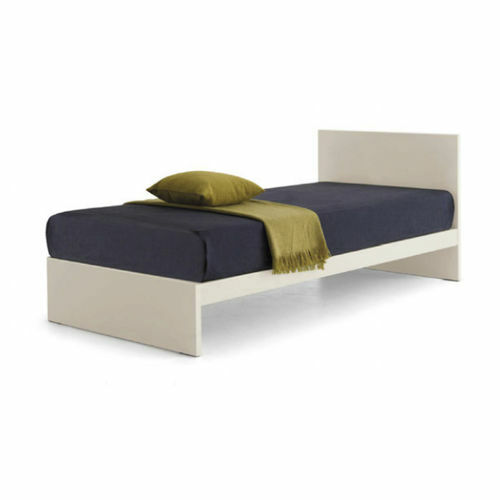 Trendy, Pantò, Corner: bed in varnished metal, padded headboard with fabric upholstery, plywood base. 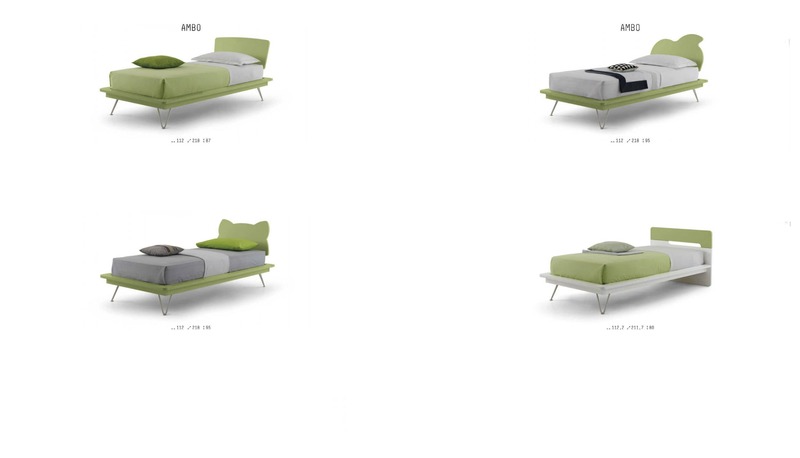 Web, Web Sommier, Selà, Bull: padded beds in removable fabric, slat base. Flexy Box, Flexy Box Sommier: padded structure upholstered in fabric, slat base, storage unit under the base.